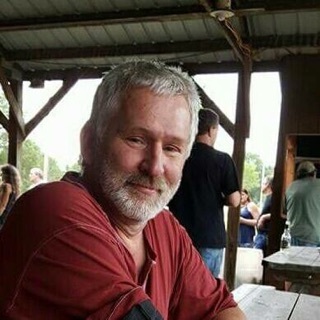 Ronald Wayne Bark, age 55, passed away on Friday, February 16th, 2018. He was born on May 14th, 1962 to Stanley and Arlene (Forde) Bark. He was baptized at Southwest Prairie Church and Confirmed at Freeman Lutheran Church. He attended and graduated from DeSoto High School and Western Technical College. He worked for Slumberland furniture as well as a self-employed artist and limousine service. He enjoyed 4-wheeling, traveling, photography, drawing, fishing and being outdoors. Ron is survived by his mother Arlene Wallace of Viroqua, sister Cheryl Levendoski of Mauston, brother Alan (Maryann) Bark of Seneca; Nieces: Dana (Eric) Check, Angie Levendoski, Arena(Eric ) Kvamme and Hillary (Tyler Herrmann)Bark; Nephews: Nick (Liz) Levendoski, Nathan Levendoski, Lucas Levendoski (Haley Cassidy) and Elijah Bark ( Ashley Rooney); 6 great nieces and nephews, Step-mother Judy Bark of La Crosse, step-sister Tammy (Bill) Klein; step-brother Dan (Anna Eherenman) Parizo as well as step nieces and nephews, aunts, uncles, cousin and many friends. Ron was preceded in death by his father Stanley Bark, 2 brothers Dale and Larry, step- father Harold Wallace and maternal and paternal grandparents. The Thorson Funeral Home is assisting the family.